Are you ready to become a Non-Smoker? If the answer is "Yes", then don't wait! 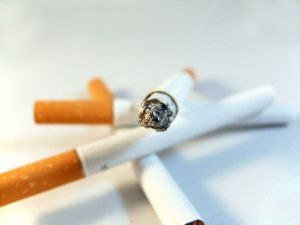 If you do have the desire to stop smoking, hypnotherapy can help you. The stop smoking program is two sessions. The first is 90 minutes and session two which is about a week later is 1 hour. You are assigned homework and tasks to take action on in the week between sessions. So that this programme is tailored to your individual needs, I collect information from you about your unwanted smoking habit. This step is important so that I can understand you and your situation, and make the sessions personal. We start the program! I use the information you provided to me already, and you get to enjoy a lovely hypnosis experience, you also get an audio files on CD or MP3 to listen to during the week. You get to experience more hypnosis, and I use techniques that give you the best chance of becoming Non-Smoker, and that will help you stay that way. You go away with further audio tracks to assist you. You receive audio files and a support manual, plus text or email support if you need it between sessions. We work together, so I don't wave a magic wand unfortunately. Your participation is required throughout, and I cannot offer you a guarantee that you will stop smoking forever, but I can assure you, that by working together, doing the homework, and actively participating in this programme, we will do everything to make this a reality. You can contact me for support between sessions if necessary. Choose today to be the start of the new you!